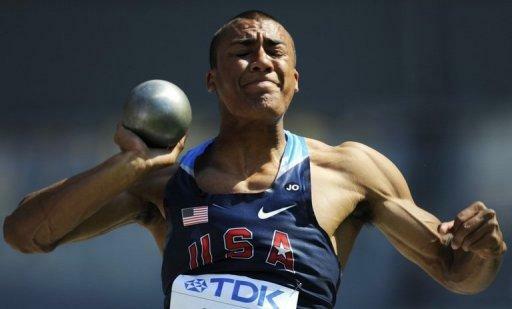 America's Ashton Eaton smashed his own world indoor heptathlon record on Sunday when he piled up 6,568 points at the Tallinn international indoor event. The 23-year-old had set his first world record of 6,499 points at the NCAA Indoor Track and Field Championships in Arkansas in March 2010, shattering the previous best of 6,476 set by compatriot Dan O'Brien at Toronto in 1993, when Eaton was only five years old. On Sunday, Andres Raja from Estonia was second with 6,114 points and Dominik Distelberger from Austria took third with 5,951 points. The women's pentathlon was won by Grit Sadeiko of Estonia with 4,422 points to edge out compatriot Kaie Kand, who scored 4,383 points. Laura Ikauniece from Latvia was third with 4,206 points.